At Pagely it is about people, not numbers. We don’t make announcements of recent VC, nor posts touting our revenues and always offer an opaque answer when we are asked how many employees or clients we have or revenue earned. We measure all these things, but we focus on the people we serve and the people tasked to provide this service. This approach has served us well in what I am calling Act 1 (startup) and Act 2 (traction) of Pagely. As we begin Act 3 (scale), it’s about the people more than ever. Somewhere over 2 years ago Sally and I made a very critical and important decision in the life our company. We recruited our friend and current CTO Joshua Eichorn out of a cush Silicon Valley job to move his family back to Phoenix and take on a fairly daunting task: Build a new Managed WordPress hosting platform on Amazon from the ground up while migrating thousands of websites from a previous service provider. In addition, we asked that he perform multiple roles in DevOps, System’s administration, Security, platform automation and design, and sanity checking PHP code my amateur hands pushed into production. As founders, Sally and I have our strengths and weaknesses. We know what we are skilled at and where we need help. We had defined a strategy to move Pagely from position A to position B, the latter being the top solution for high scale Enterprise WordPress. 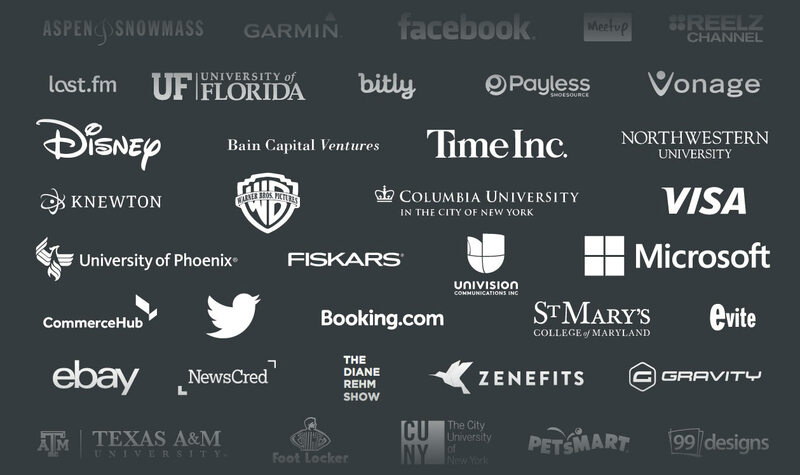 We are pretty damn good at delivering just that with a client list that includes: Disney, Warner Bros., Univision, TIME inc, Northwestern University and thousands more. Over 65 Billion monthly requests served with near perfect uptime on our Enterprise hosting tier. We have methodically marched up-market to deliver solutions for discerning clients that demand the best our industry can offer, quadrupling revenues in the process. Joshua Eichorn has been instrumental in helping us achieve that goal. And thus far he has been working along the edges of his realm of expertise. Josh has a wide and vast skill set as demonstrated by the success we have achieved with him wearing 42 hats. A term I picked up in real estate is that every property or parcel has an inherent highest and best use. You would not build a residence on a busy street corner better suited to a commercial location. And you would not ask someone to spread themselves too far for too long. We have grown as people, as a company, and more important in talent. We’ve hired slow but we have hired well. Kristopher has been with us for nearly 4 years and sets the tone and voice for every customer interaction as Dir. of Customer Success. Our culture, or what we call “The Pagely Way” is reinforced with every new hire and every customer interaction under his watch. Sean T. is a 10yr veteran of SaaS software and former CEO that has been leading the charge as our Dir. of Sales and Marketing. With Sean it’s been about the foundational things: follow-up, subject matter expertise, outreach, and customer driven attention to providing real solutions. His attitude of service is a key driver of our top line. Robert is our Sr. InfoSec Engineer that served a few years with one of the largest InfoSec firms around and multiple years in hosting security before joining Pagely several months ago. Pagely has thankfully (knock on wood) never had a major security incident and under Robert’s watch, our prevention and mitigation systems are even stronger and more thorough. Fairly new to our team is Arman as Dir. of Hosting Ops. A 9 year veteran of the hosting industry, Arman has seen just about everything when it comes to managing fleets of servers, entire data centers and automating the provisioning of such. He has stepped fearlessly into stewardship of our global AWS stack and leadership of our DevOps team. Newer to our team is Kirill who brings a deep resume serving thousands of high value hosting customers and supporting millions in revenue at his previous employer as a top account manager. Kirill is our new Onboarding Czar that orchestrates the customer’s transition from Sales to Support and the various teams and schedules involved internally and externally. He is instrumental in making sure a customers’ launch on Pagely is successful. Our existing teams also grew with a cabal of recently hired Customer Success Engineers, DevOps engineers, and Sales assistants. Top hosting talent is landing at Pagely and infusing our company with many decades of combined expertise. (Psst: We’re still hiring!) All of these folks contribute to the current and future success of our customers and of our company. Sean, Kris, Josh, and the teams they managed shared the role of onboarding clients, now given to Kirill so each can re-focus on their respective roles. Arman was hired very specifically to take over the critical day-to-day hosting operations and lead the DevOps team, previously a major role held by Josh. Robert took over from Josh the hugely important tasks of reinforcing our security protocols, drafting and implementing new protocols and interfacing with client side InfoSec teams during the sales process. Josh is now free to exercise his highest and best use skills: Forward facing application development. All the ‘features’ that we don’t have or have implemented in beta or half-finished or never started, took a back seat to the day-to-day sustainment of our growing customer base. These are now top line items for Josh’s Engineering team which will be driven forward as his sole focus for the coming months. The Pagely platform is good, damn good. Great is the new target and the only outcome we will accept. As CEO I have kept one foot on the brakes while simultaneously stepping on the gas. Grow, but not too fast. We are playing the long game; one of sustainability that could easily be subverted by a greed driven misstep along the way. We have done, what I feel, is an admirable job balancing the needs of our clients, the market, cash-flow, and the demands placed on our staff. With a robust platform, more talent, and new roles in diversified and capable hands it’s time to lift off the brakes and push the right foot to the floor. Act 3 is underway. This is where we go from Good to Great and I am privileged to have such a skilled and solid team drive us forward. Love your team and the facilities that you provide us clients with. Perhaps a new site could be somehow placed into a sandboxed, secure environment that doesn’t interact with any live sites and you could use those plugins to move your site over easily and then switch to production live. Just would be great to have an easier migration process in place. Or of course develop your own plugin – perhaps license one of the aforementioned and modify to your precise security requirements.